When it comes to dual door applications one of the key things to be aware of is which door functions as the prim ary and which will function as the secondary. Both of the bars within this package have a pre-designated function; the prim ary panic exit bar is designed to be the first to open. In order for the secondary door to open, the prim ary must initially be engaged. 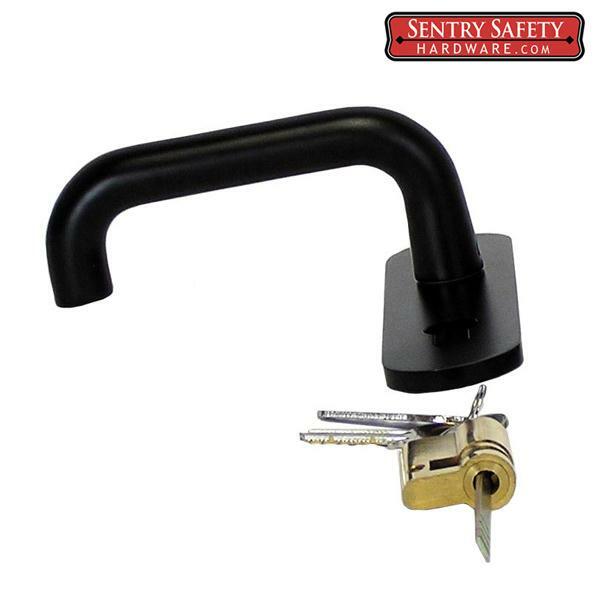 Since the secondary bar is what complements the dual door function all secondary bars come equipt with a vertical rod. 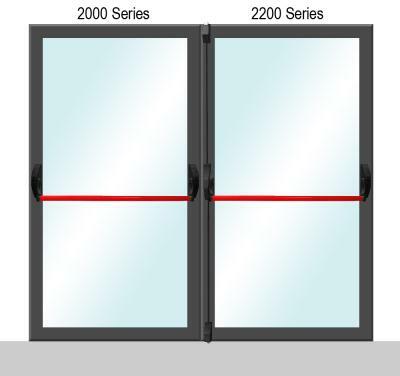 This dual door application features the 2000 Series Panic Exit Bar as the prim ary and the 2200 Series Panic Exit Bar as the secondary. Fit doors with a minimum width of 8"
Width of bracket to attach to frame is 1 1/2"
Select from red finish or silver finish.